It can be very difficult to open some bottles and jars for the first time. This is a guide about opening jars and bottles. I am a senior citizen with arthritis. 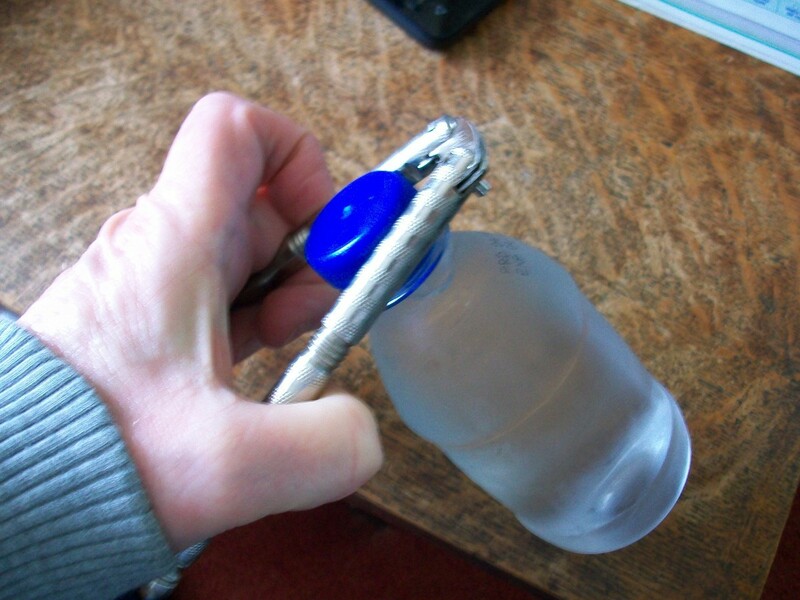 I find it hard to open pop bottles and milk jugs, so I decided to use my adjustable pliers and it works great. Just clamp them on the lid and twist. I store pliers in my silverware drawer so they are handy. It really saves my hands. My sister gave me this useful tip. We sometimes have a hard time opening 2 liter bottles. To remedy that, we use a nut cracker. You know the kind that usually comes with the picks? It is just right to go around the lid of the bottle and, in a flash, the bottle is open. We like the idea so much that we are getting one to go in each of our cars in the glove box. I don't know of anyone that has not had trouble opening a bottle on a trip. I have one in my bedroom also where I drink soda sometimes. We use it for other bottles that the nut cracker will fit. The grooves in the nut cracker grip onto the lid of bottle we are opening. 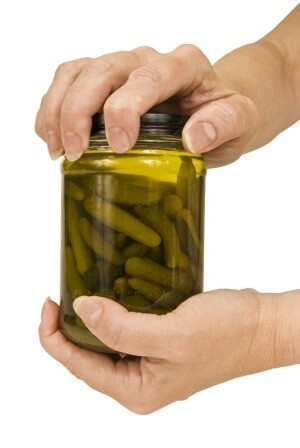 I have always had trouble opening jars and bottles, my hands slip rather than grip. Yesterday I took some "double stick foam mounting tape" and put a 1 inch piece longways on the side of the lid where I would put the side of my thumb and another on the jar where I put my palm. I have rheumatoid arthritis and so have a lot of trouble opening jars. I have found that running some hot water over the jars for a couple of minutes really helps. My family often tighten the lids very tight, and I get tired of asking someone to open them for me. 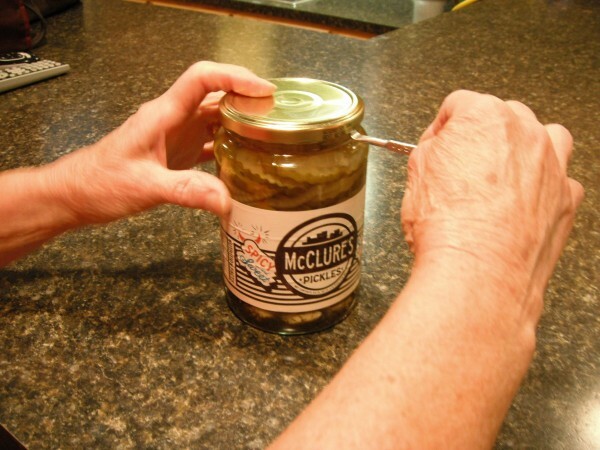 If you have trouble opening new jars of food, such as pickles, jams, etc. because the lid is vacuum sealed, slide the curved edge of a paint can opener under the edge of the jar top and push down or twist slightly. I bought a gallon jar of pickles, but had to wait for my husband to come home to open the jar. My hands just weren't large enough to get a good grip on the lid. Next shopping trip, he bought something that is made to loosen oil filters from cars. 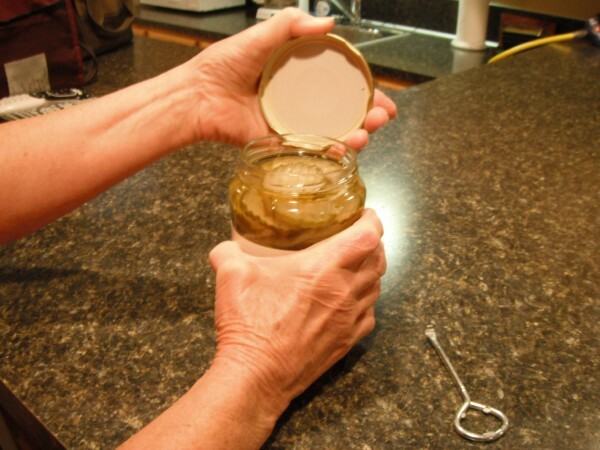 To open any jar or lid without straining your wrist or damaging the lid, use a rubber oil filter wrench. They are inexpensive and will fit any size jar you have. Before replacing the lids on your newly opened jars of honey, Karo syrup, or molasses, line the opening of the jar with some plastic wrap. You will never had trouble opening them again! 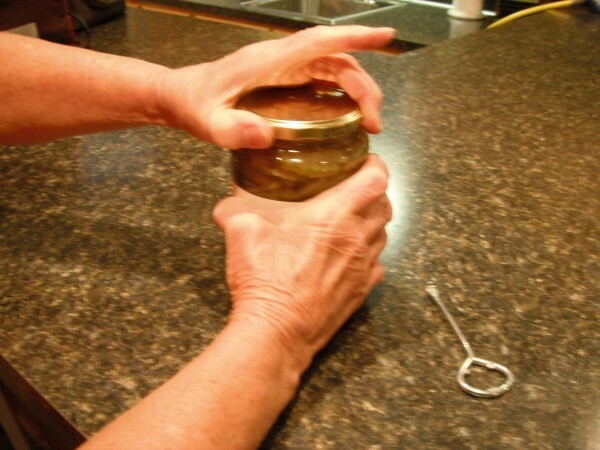 This is a guide about opening jars with arthritic hands. 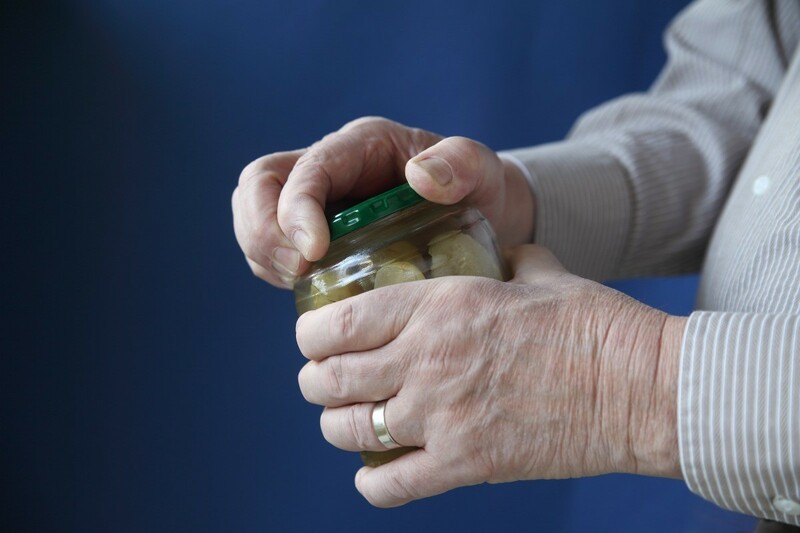 Arthritis can make simple tasks difficult and even painful.